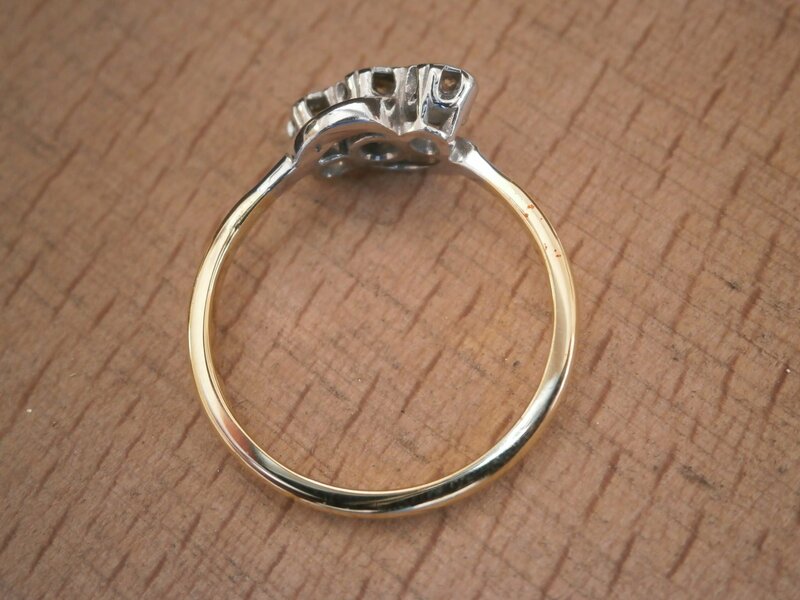 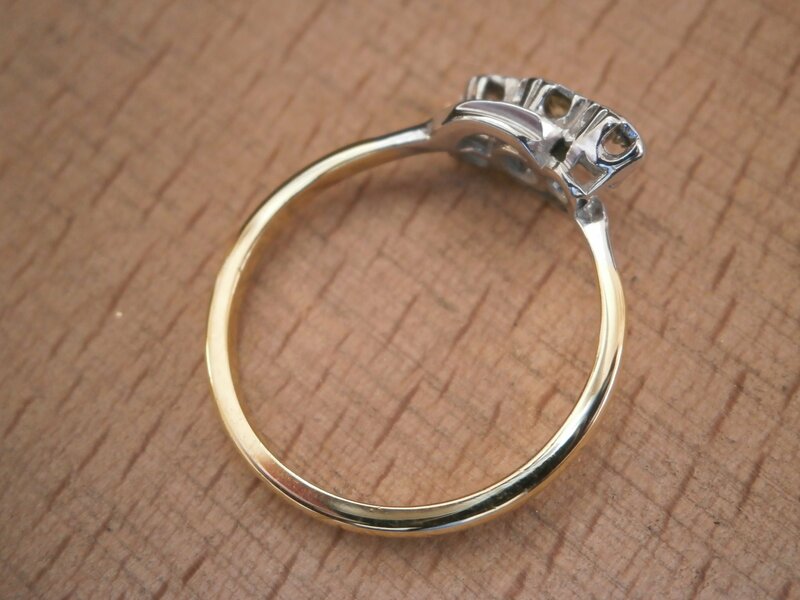 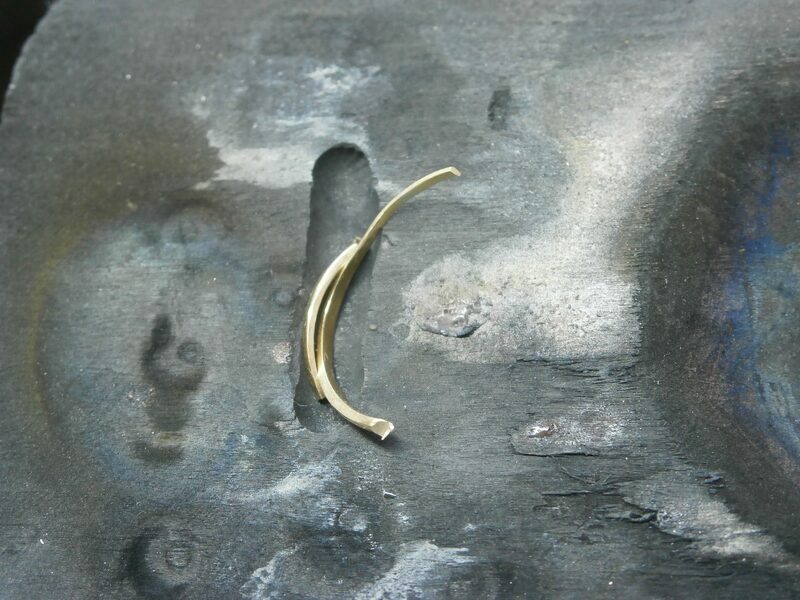 At Heidi Kjeldsen we are often asked to repair treasured pieces of jewellery and make them look as new. 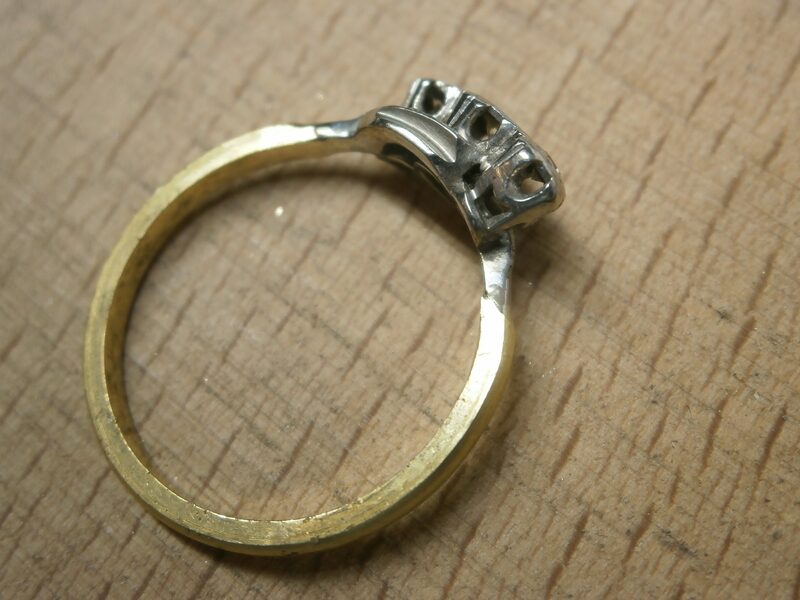 This month among others we have been asked to repair a beautiful diamond ring which had become worn over time and suffered a break at a weak point in the shank of the ring. 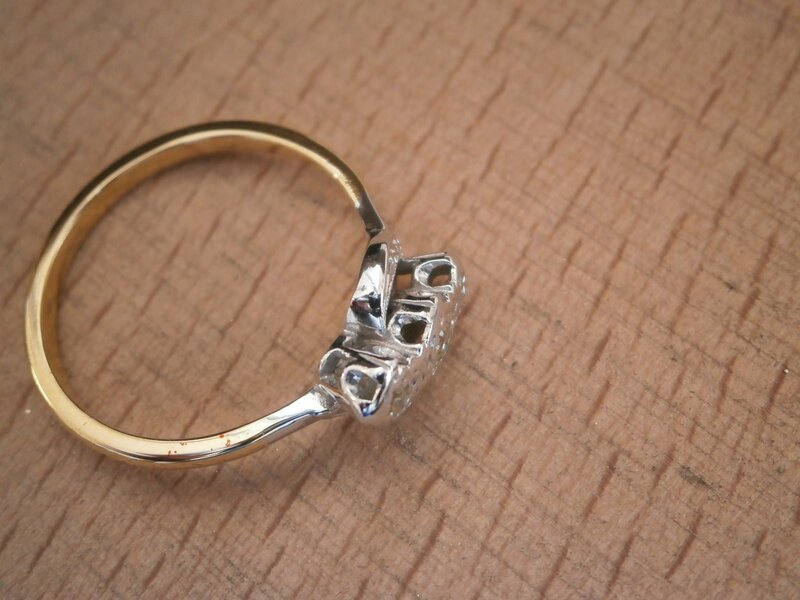 There was a marked indent where the ring had sat lovingly against a wedding ring for many years and the setting had become tarnished and dull. 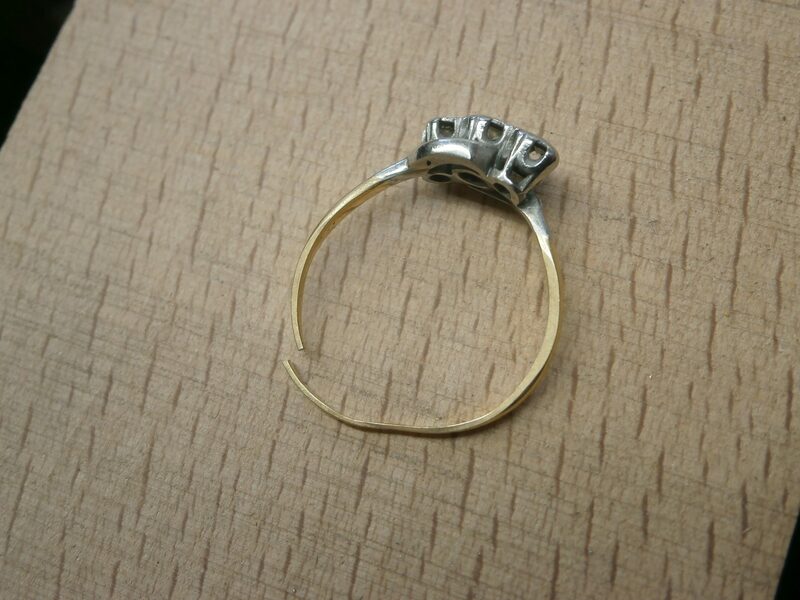 So here is how we went about transforming this well loved ring back into something beautiful and wearable once more. 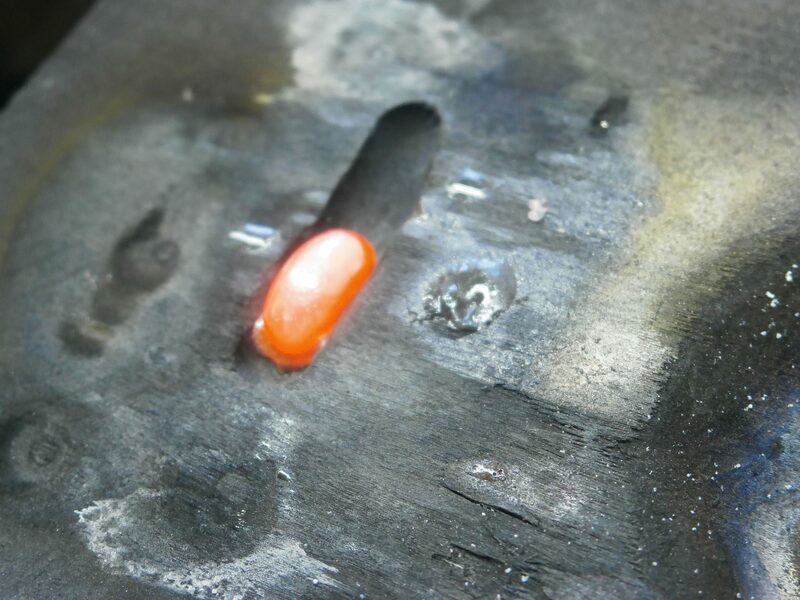 The pieces were then placed on a charcoal heat resistant block with a small groove ready to receive the molten metal once heated. 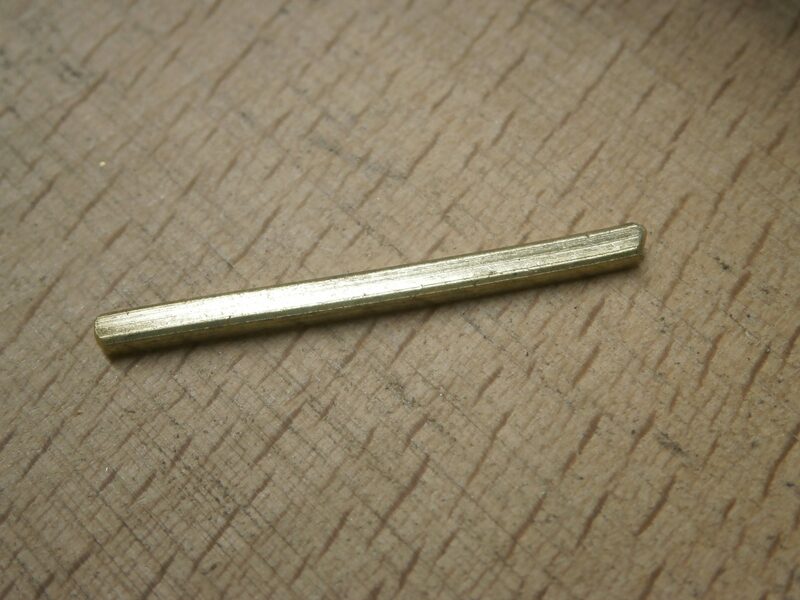 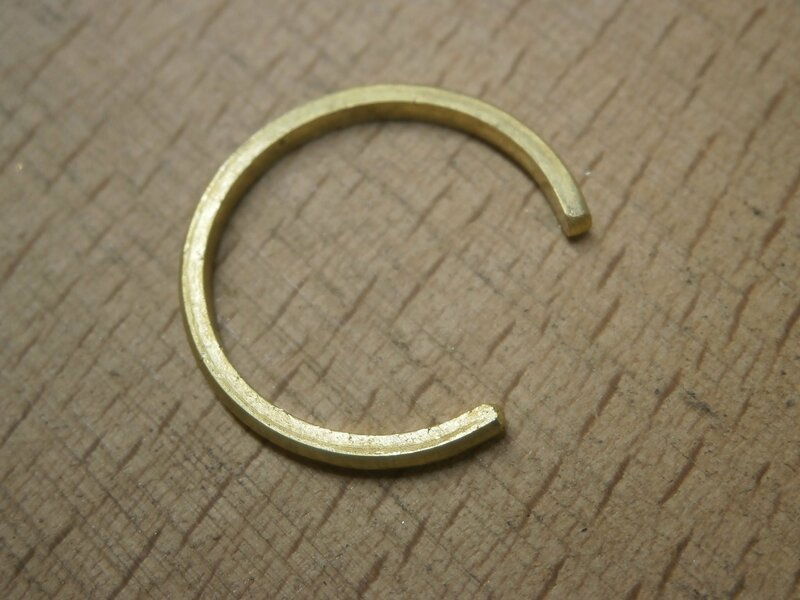 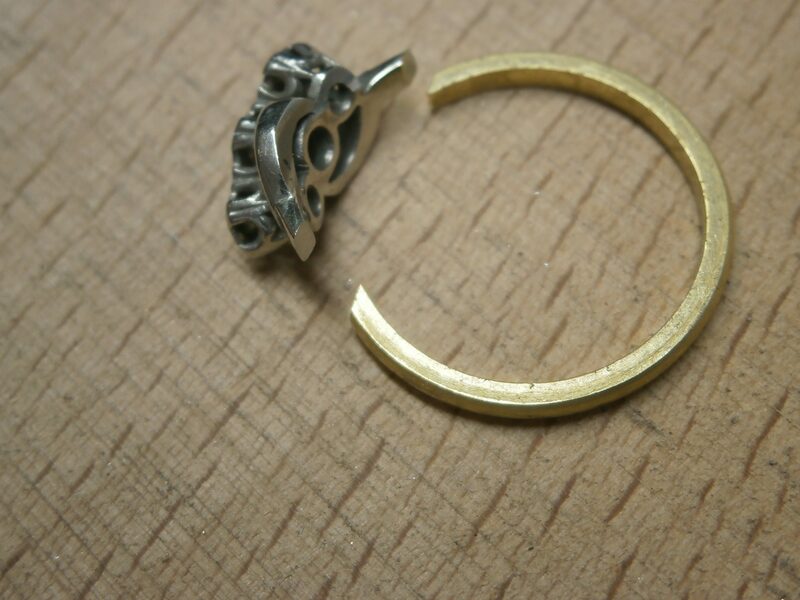 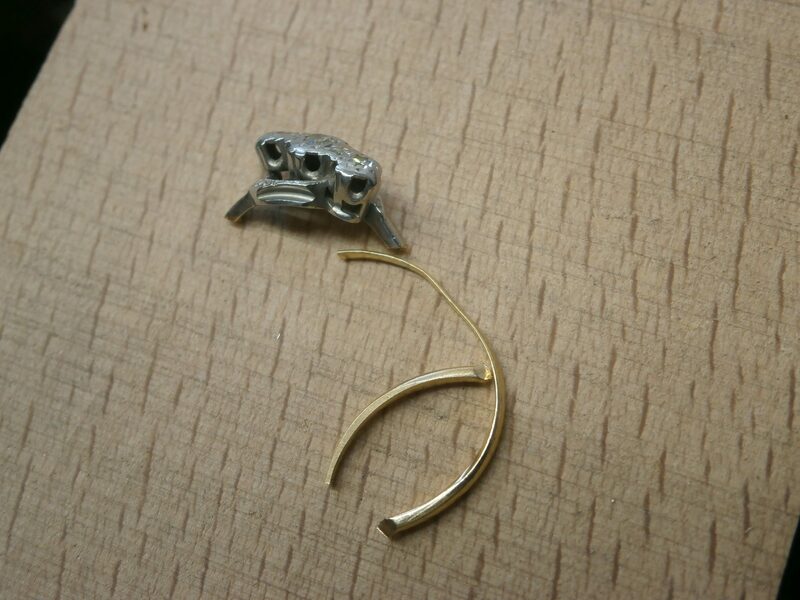 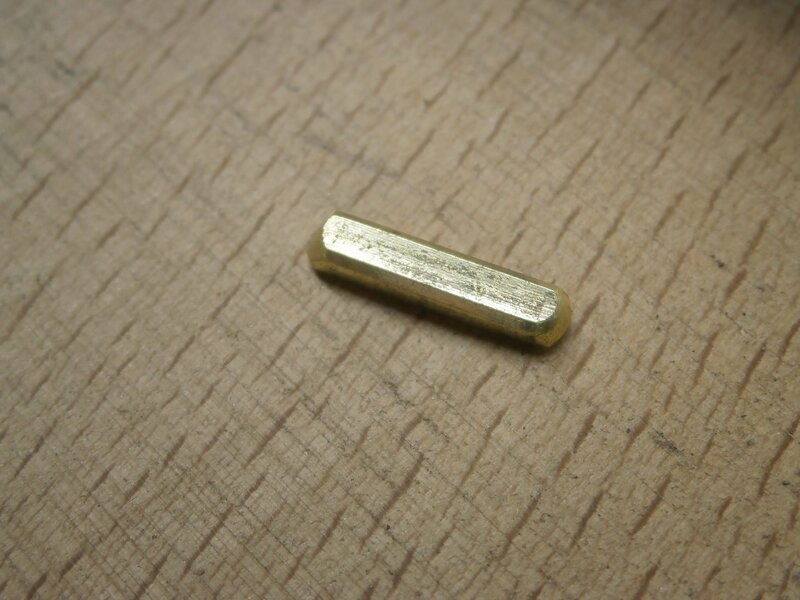 A ball of 18ct gold was added to the groove along with the original pieces. 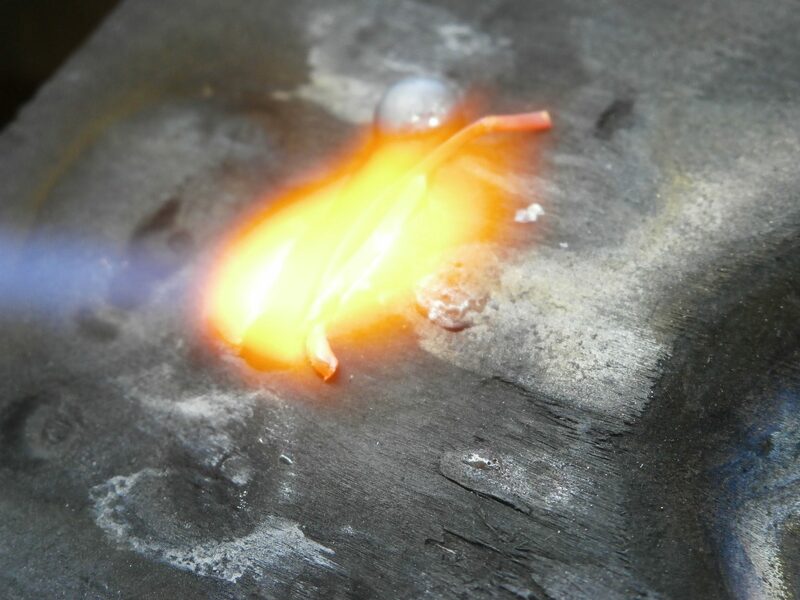 All the gold was then heated until molten. 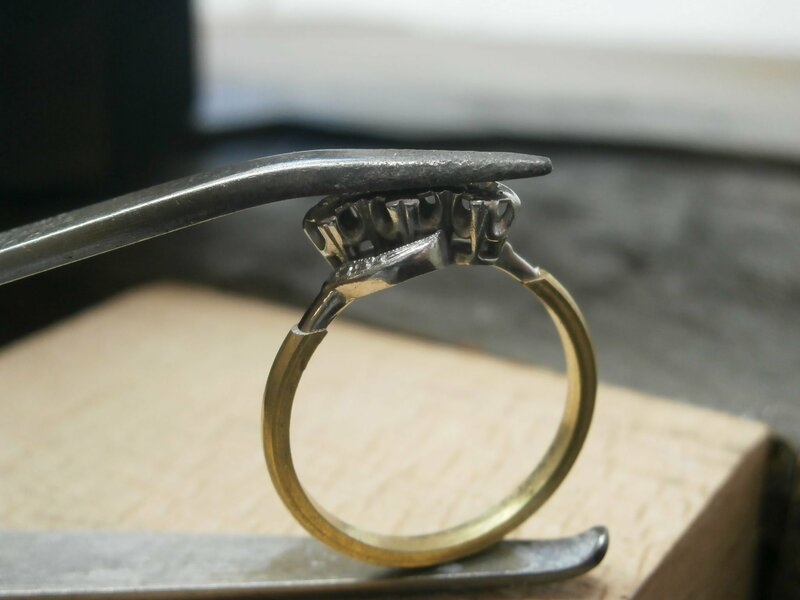 Once the shank and the original ring were soldered , the shank, being slightly bigger required filing and polishing to achieve a seamless join and a perfect finish. 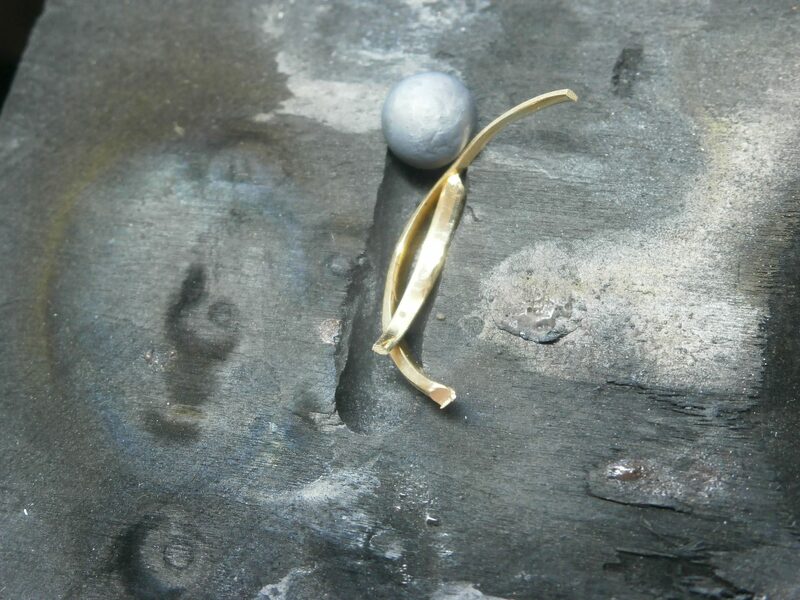 The sharp edges were buffed and the whole surface then polished. 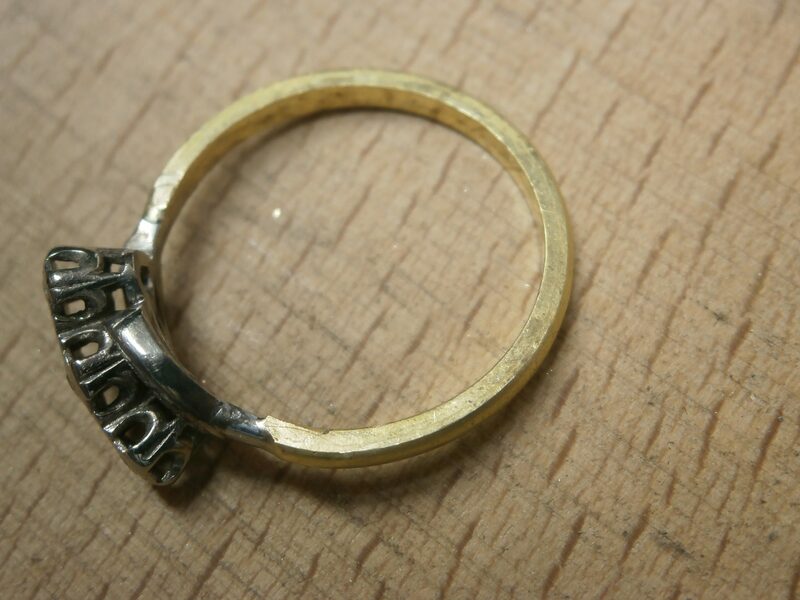 Once polished up it began to look like a new ring again. 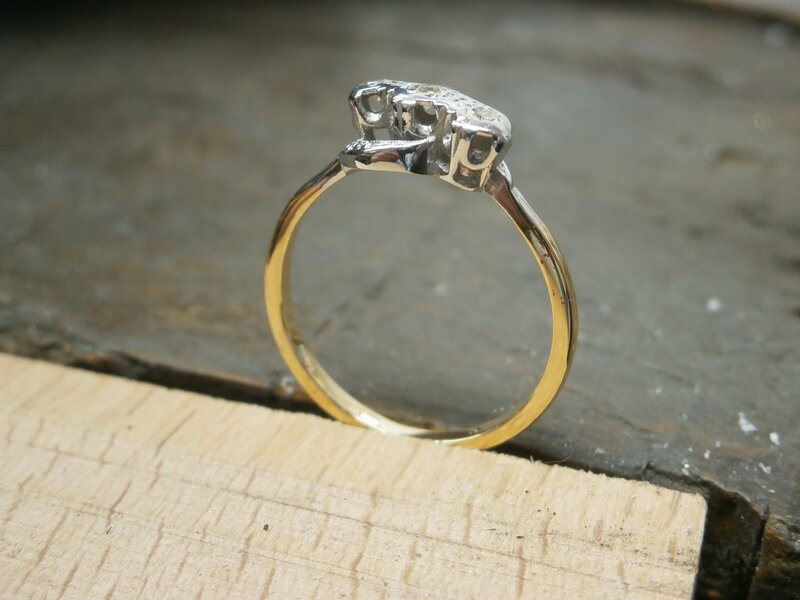 Ready for the client, who was delighted with the results. 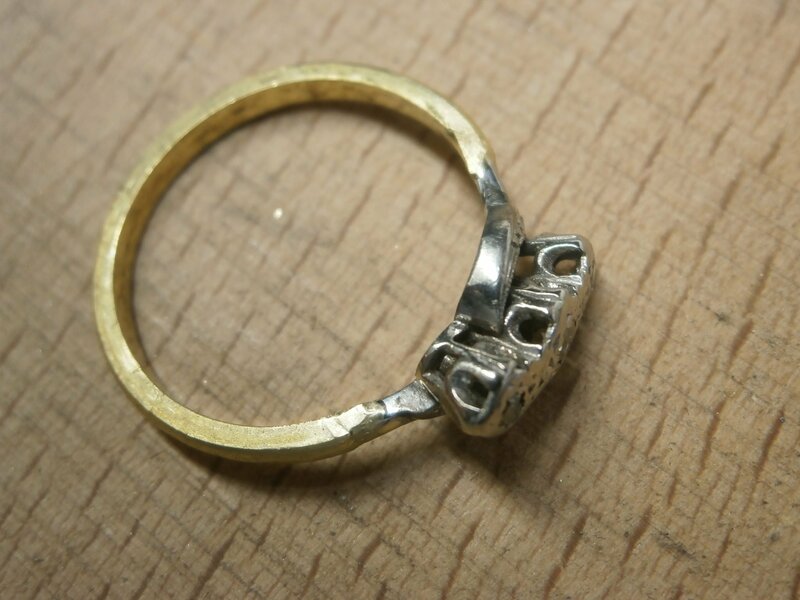 If you have a treasured piece of jewellery which has seen better days then visit us at our Mill Street, Oakham showroom.